C'est Moi, Sara Louise: Diane says, “Baby you ain't missing no-thing"
...but have you ever heard of hay rolling? P.S. 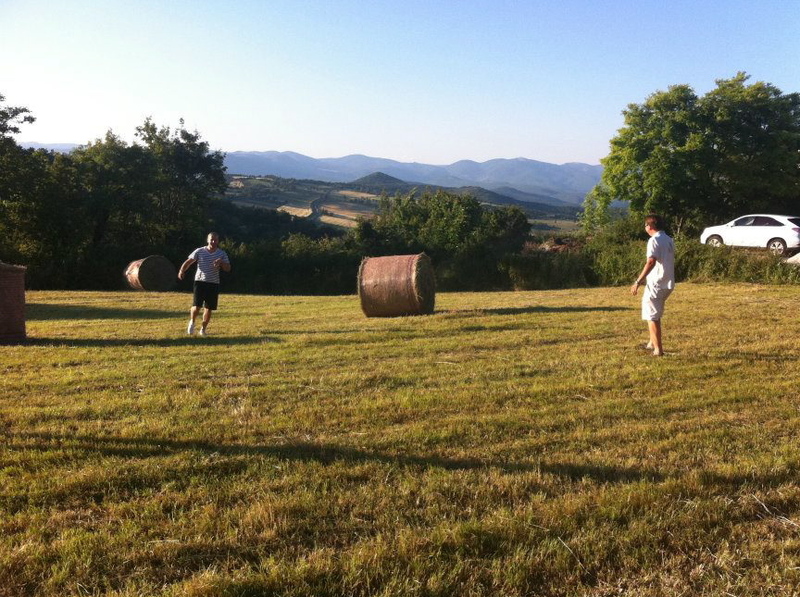 Disclaimer: no hay bales were injured in the writing of this post. I'm from the 80s, of course I know that title! And hay rolling? Was there really nothing on t.v.? p.s. Loved your little Ditty today! i have! i am from iowa and spent MANY summers on the farm playing on hay bales :) fun times, but yea....totally looks like texas and not france. love it! It's so pretty up there! I have never tipped a cow and am sure that is a very mean thing to do to a poor unsuspecting bovine. Rolling hay is much better. Looks like the thrill of living isn't gone in LPV. I lose. I can't name the song. And I've never heard of hay rolling. Sheesh, I'm just on a roll today - and not a good one! i'm a firm believer that every town should have a dairy queen. but after this post, i'm a firm believer that every town needs hay bails to roll around! 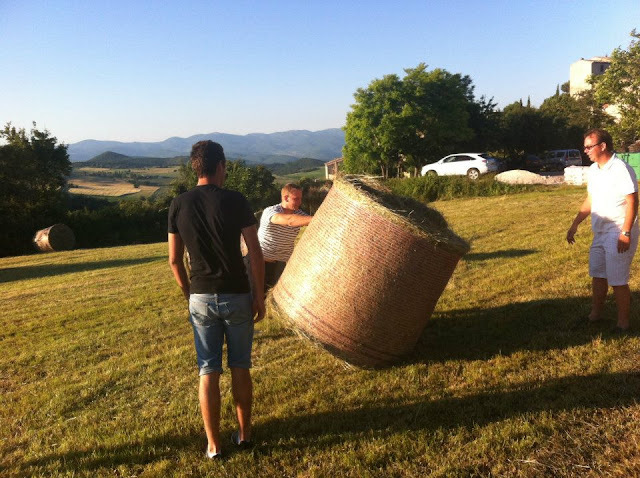 if i ever moved to LPV,i think the hay rolling will be the reason. hay rolling is the best!! haha.. is there a point to the hay rolling.. I mean is there some sort of fun I have been missing out on? hey look quite happy.. should I go out and find myself a bale or two? fun post. hahaha this is a fab alternative to cow tipping. you could even make this a game. like a huge bowling. which sounds like itd turn into something off the show wipeout, love the new design, ps! A little ditty! About Jack and Diannnnne! But do they have flying cockroaches there? *shudder* one thing I absolutely do Not miss about TX. Hahaha! WHAT?! Is this like the vegetarian version of cow tipping? Roll, roll, roll in the hay , what movie is that from ? It looks so very pretty and warm there .. the total opposite of this cold wintery grey city at the moment. i have not heard of this, but i'd like to bet i'd be good at it... so says the competitor in me. bring it on! Lol, whose idea was it? I want to hay roll! Jack and Diane - John Cougar Mellencamp. I admit, I have no idea what song the title is from, but I will say this. I completely approve of hay rolling. It just looks so much more humane than cow tipping :) Man, your village looks beautiful. hahah hay bale rolling? WEIRD. but sounds fun!